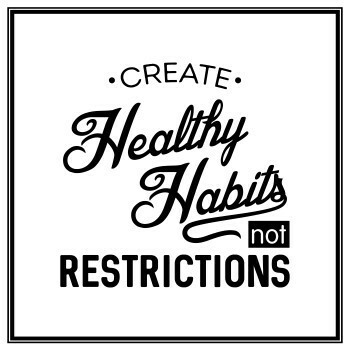 If maintaining a healthy body is your goal, exercise and balanced diet are the only 2 things that can help you. Your body will not function at its best without proper nutrition. Among the many vitamins that you should take regularly is Vitamin B6. 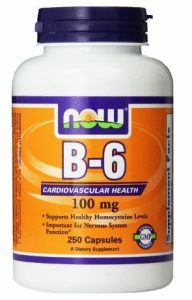 Commonly referred to as Pyridoxine, B6 is a B-complex vitamin. Paul Gyorgy first discovered this nutrient in 1938. He even successfully isolated it from rice bran and used it to cure acrodynia, a skin condition. Like other B vitamins, this one plays an active role in the conversion of food into energy. It helps fat and protein metabolism. As you read in later sections, you will learn that it is also essential for healthy skin, hair, liver and eyes. 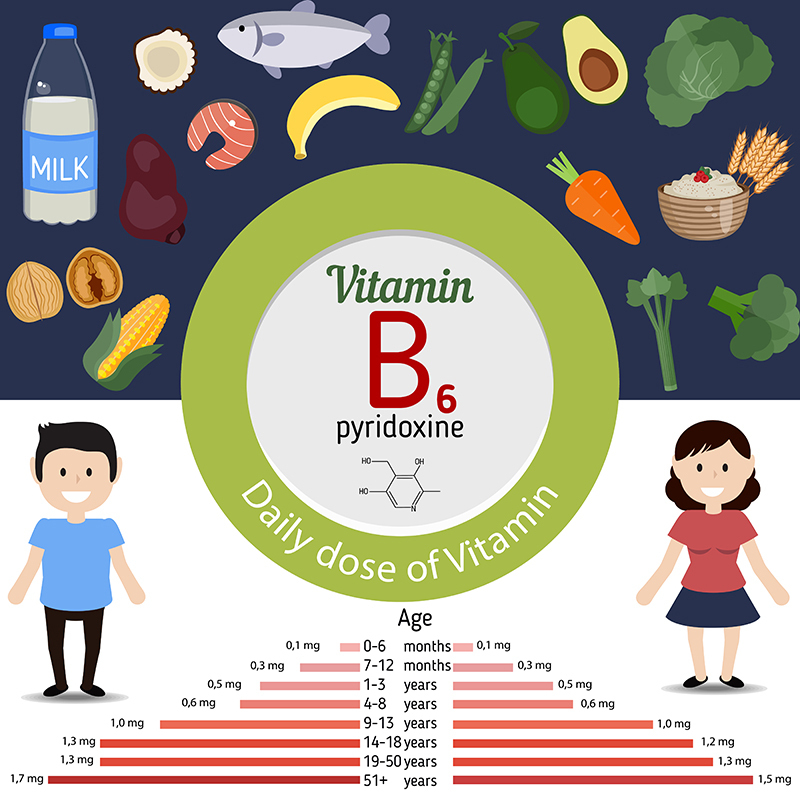 Why is Vitamin B6 (Pyridoxine) Important for Your Body? What Are the Signs of Vitamin B6 Deficiency? How much Vitamin B6 do you need per day? The most important function of the vitamin is to help body cells break down protein from the food you consume. While this is quite significant, the importance of B6 is not limited to this. It is required for many body functions such as regulating the sodium and potassium levels. It also helps neurotransmitters and red cell production. Red blood cells help carry oxygen from the lungs to areas of the body that require oxygen. Neurotransmitters help carry important information between cells. Both of these functions are vital for optimal health, which is why you must take your recommended daily allowance of vitamin B6. It is critical for not just normal brain function but also for the synthesis of RNA and DNA. Pregnant and breastfeeding women need the nutrient as it helps babies’ brains development. Pyridoxine can help fight infections. 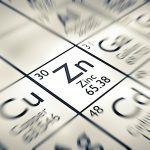 Consumption of this nutrient can prepare body’s defense against serious health conditions like cancer. It is very often used for prevention of diseases like arteriosclerosis, and treatment for arthritis, asthma, and allergies. Not taking enough pyridoxine can result in severe health problems. 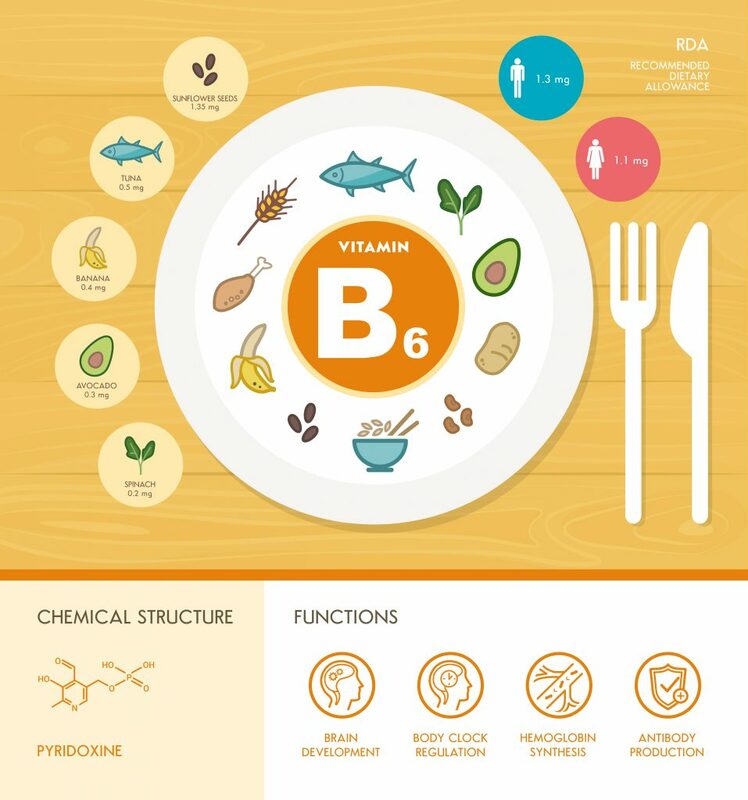 If you are experiencing some symptoms and do not know whether they are signs of vitamin B6, you should know that there are some specific symptoms of B6 deficiency. Lack on enough pyridoxine in the daily diet can lead to anemia and different skin disorders. Swollen tongue, cracks around the mouth and dermatitis are common symptoms and should not be taken lightly. Susceptibility to infections is a very important hint as it suggests your immune system is lagging. 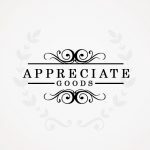 Apart from these, you may even face problems like nausea. Do not disregard confusion and changes in mood as they, too, may be strong signs that your body lacks the right amount of vitamin B6. Depression, anxiety, and irritability without strong reason can hint towards this deficiency. Many people suffering from pyridoxine deficiency also complained that they had abdominal pain and neurological disorders. It may also cause fatigue and different kinds of muscle pains. 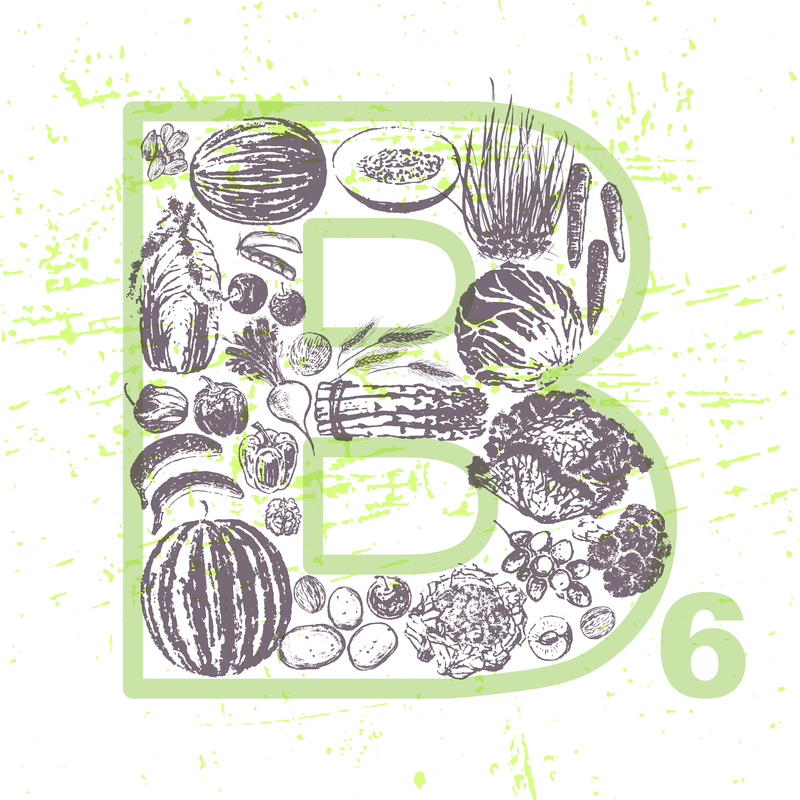 Vitamin B6 is a water-soluble vitamin, and so it breaks down easily if exposed to intense heat. Because your body cannot store it as it dissolves in your bodily fluids, any excess amount of B6 is removed from the body by urination. Understandably, your body cannot store leftover vitamin B for later use. This is why you must include the required amount of it in your daily diet. Exactly how much you need depends on a few factors – age, gender, etc. 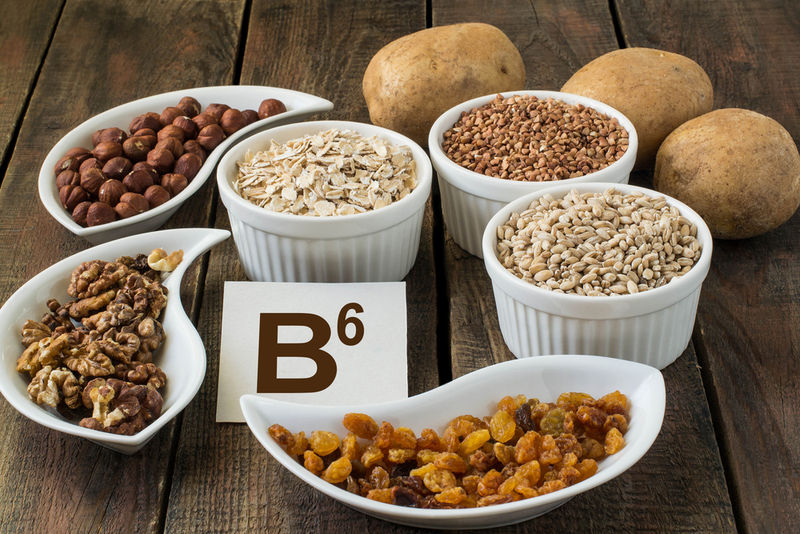 Your vitamin B6 requirements may change depending on special circumstances. For example, pregnant or breastfeeding women are required to take more B6 than other women of their age. There is no reason to feel intimidated by these numbers. In fact, you do not even need to rely on dietary supplements. Anyone who emphasizes on eating balanced meals gets sufficient amount of vitamin B6. The average recommended amount is very little and it can be very simply obtained from various food items. 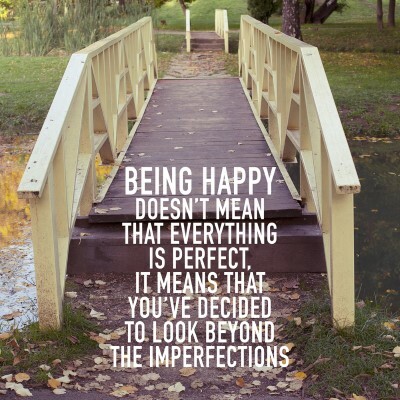 However, older adults often face problems. The RDA (recommended daily allowance) is 1.7 mg and 1.5 mg for men and women respectively. Consuming this amount becomes challenging for the older people who live alone and cook less frequently. This is why they are recommended to have their B6 level tested by a doctor. If needed, they can rely on B6 supplements. For a really long time, scientists have been examining pyridoxine and its benefits on the human body. Its advantages on health are versatile and lifesaving. According to preliminary research, vitamin B6 has many positive effects on the human body. It helps prevent a wide range of neurological conditions like depression, seizures, chronic pain, and Parkinson’s disease. 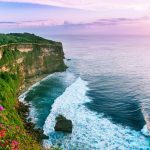 It is assumed that this effect is a result of enhanced production of serotonin and dopamine, which are both essential for nerve communication. Another experiment revealed that proper consumption of vitamin B6 showed a positive relation with reduction of stroke, heart failure, and coronary heart disease. Therefore, it reduces the risk of death. 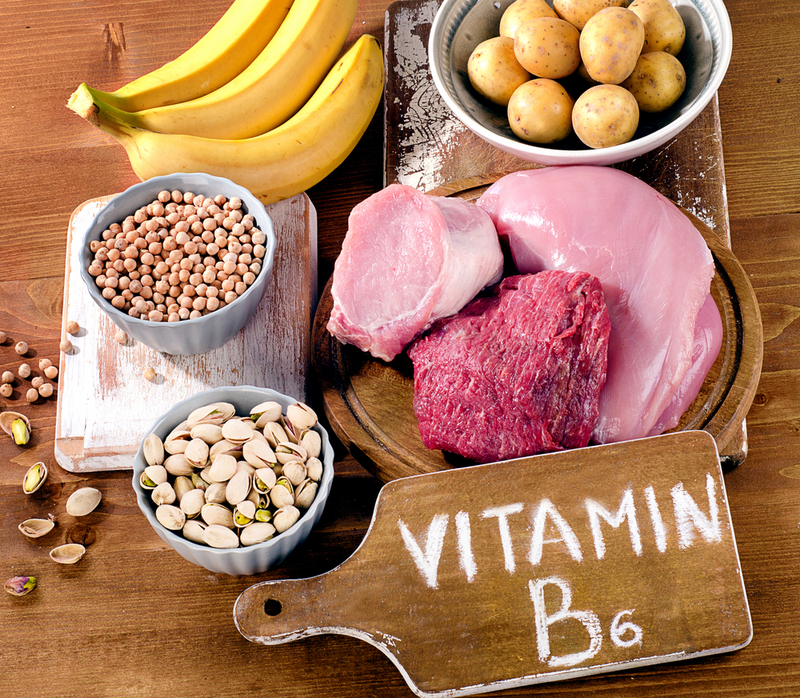 Prevention of heart diseases, reducing the risk of cancer, providing relief to pregnant and PMS-ing women, protecting eyes, and preventing kidney stones are some of the most discussed benefits of vitamin B6 in the daily diet. Vitamin B6, along with folic acid and vitamin B12, are known for reducing the risk of heart diseases. It reduces the level of homocysteine, which is a hormone found in blood. By treating high homocysteine levels, the vitamin can heal the damage done to blood vessels. People who do not take the proper amount of B6 are more prone to certain types of cancer, like colorectal cancer. It may not treat cancer or prevent death among cancer patients but consumption of B6 can help prevent cancer. Pyridoxine is known for reducing moodiness, forgetfulness, anxiety, irritability, bloating and other symptoms of premenstrual syndrome. It is often used to seek relief of pre-menstrual tension and candidiasis. It also helps alleviate symptoms of morning sickness. It eliminates or reduces nausea and vomiting for pregnant women. It provides relief from pregnancy related high blood pressure. 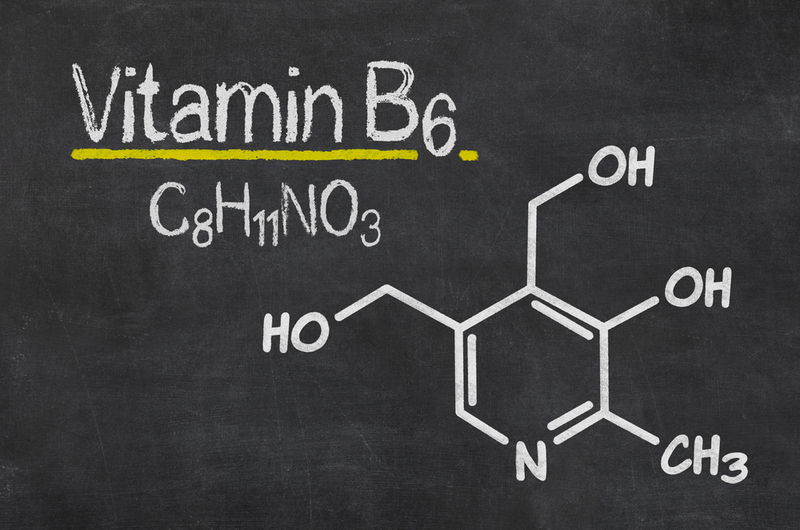 Vitamin B6 slows down some eye diseases like macular degeneration. Intake of this vitamin in addition to others like folate can help prevent loss of vision and eye disorders. There is evidence that the vitamin helps to stabilize blood sugar and eye damage that is followed by blood sugar problems related to diabetes. It has been found that including vitamin B6 and other minerals such as magnesium can help prevent kidney stones. You can get most or all of your RDA from regular meals. In fact, there are people who consume much more than they should. For example, if you drink too many energy drinks you can consume more vitamin B6 than you require. Even though excess is excreted from the body, it takes a toll on the body. As these vitamins are soluble, they exert a lot of stress on the kidney and are difficult to get rid of. When taken in high doses, it can become toxic. It can result in severe and unpleasant symptoms. A common symptom you may experience if you overdose on Pyridoxine for an extended period is numbness in hands and feet, but it can be as serious as nerve damage. This is why physicians and dieticians recommend to not only pay attention to giving body enough of this vitamin but also to consciously avoid eating too much of it. In general, your pyridoxine should stay well below 100 mg.
You must first recognize what food items have a high amount of B6 and then actively include more of those in your everyday diet. Some great sources of this nutrient are poultry, beef, fishes and eggs. You can also eat a lot of nuts, beans, whole grains, cereals and bananas as all of these have high pyridoxine content. Potatoes and other starchy vegetable are rich in pyridoxine. Eating a lot of fruits can help too. The second option is to buy and take diet supplement tablets. The nutritional benefits of this vitamin are usually available in multivitamins. It can also be bought as an individual supplement. 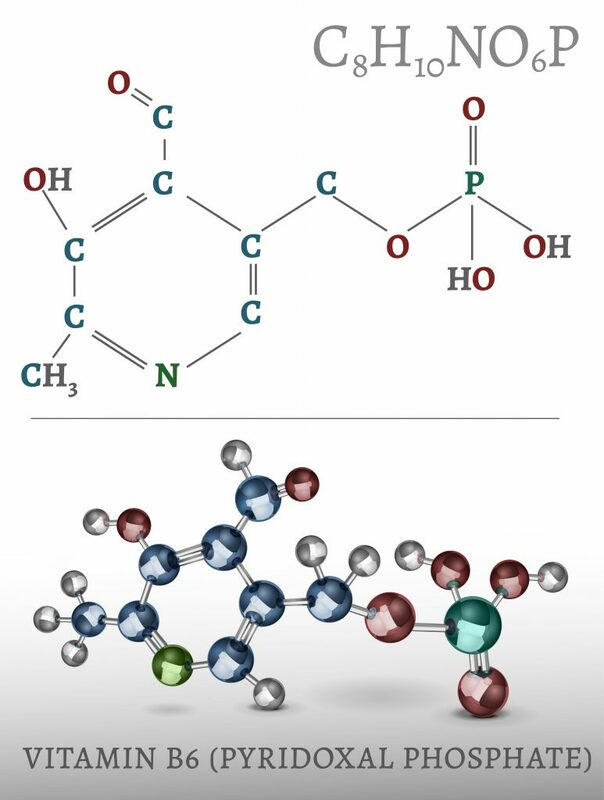 It can be called pyridoxine, pyridoxal, pyridoxine hydrochloride, or pyridoxal-5-phosphate. Especially if you choose to rely on supplements, you should talk to your doctor and confirm first. Whenever possible, it is suggested to choose food as the source of vitamin B6 as it is a better alternative. This is because food naturally contains a balance of different nutrients and caters your body with a positive synergy. Also, it is more satisfying and natural to obtain B6 from food. First of all, vitamin B6 can be found in all foods in varying amount. That being said, some food items pose as better sources for it than others. Meats like beef and poultry, and fishes like salmon, are examples of good pyridoxine sources. 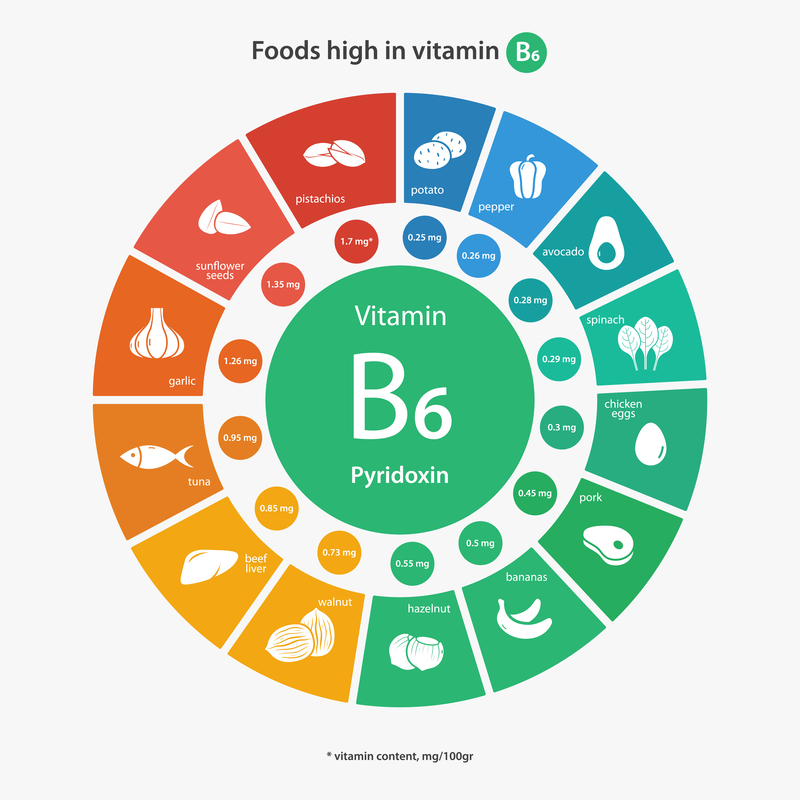 It is unlikely but if your diet does not include any of the major food sources of vitamin B6, you should make a serious to increase intake of them. 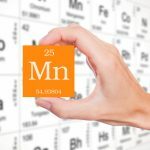 Check how much of the vitamin is required daily for someone of your age and gender, and then choose food items from this list, to prepare a diet that suffices all your pyridine needs. You can also browse the Internet to learn about all other food that has vitamin B6 in them. Find out the nutrition content of each food and then decide portion sizes during meals. Note that most of the items listed here are commonly found and they are perhaps already part of your daily meals. It is not very difficult to incorporate this vitamin into your routine. All you need is a conscious attempt. When you take vitamin B6, you must remember that all the vitamin Bs are heavily dependent on each other. Usually, they cannot help improve body conditions independently. This is perhaps why B compound vitamins are usually found together. Also, in addition to these vitamins, you must pay attention to other nutrients that are important for bodily functions. Fortunately, vitamin B6 deficiency is not very common as only a little amount is required every day. 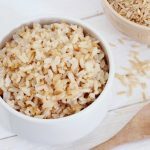 In case, you identify one or more of the B6 deficiency symptoms highlighted in this article, go to a doctor and seek advice. 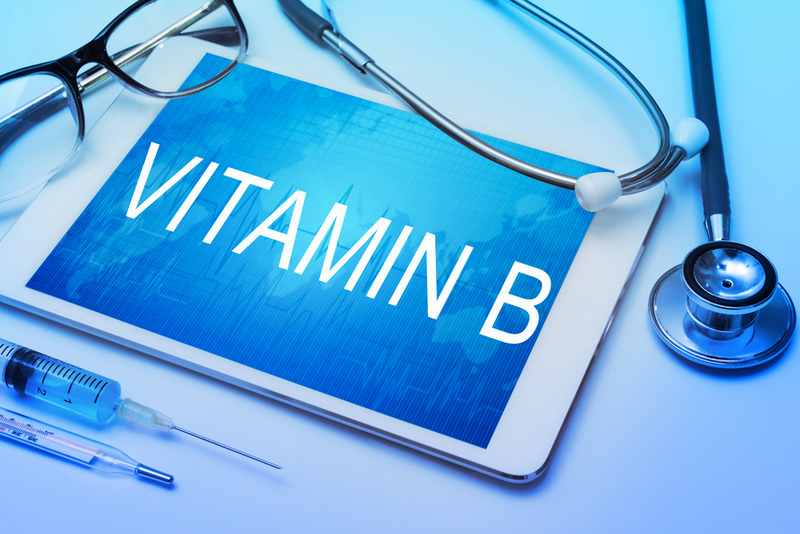 The aftermath of vitamin B6 deficiency can be severe, and therefore, should not be taken lightly. It is a vitamin with many benefits and must not be neglected when you plan a healthy balanced diet. Vitamin B1 (Thiamine) Deficiencies, Benefits, Foods, Interactions, Effects etc.